Welcome to the inaugural issue of Short Cuts! 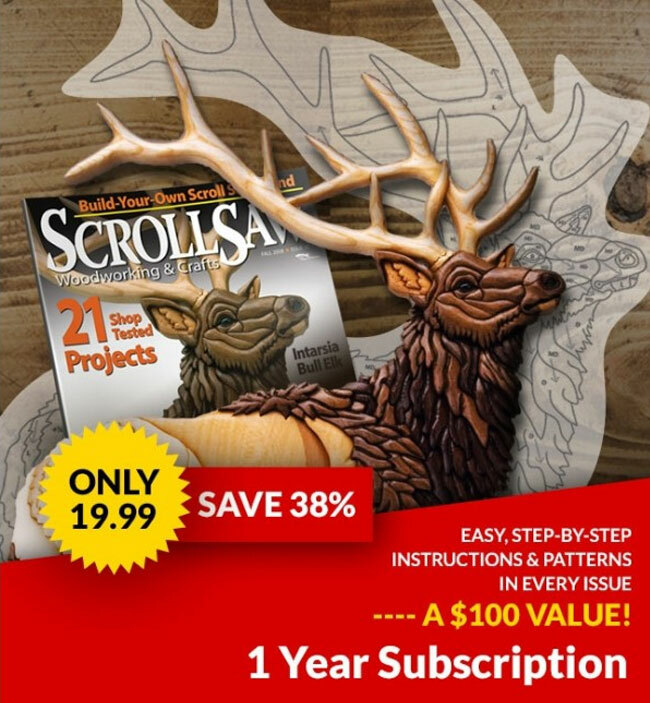 Our quarterly e-newsletter Short Cuts is our way of staying in touch with you between issues of Scroll Saw Woodworking & Crafts. Here we share projects, features, tips, insider scoop on books and authors, club news, and more. We hope you enjoy reading it as much as we enjoyed writing it for you! Click here to sign up for Short Cuts. Artistry in Wood in Dayton, Ohio, is the largest carving show in America—and a fair number of scrollers attend, too. 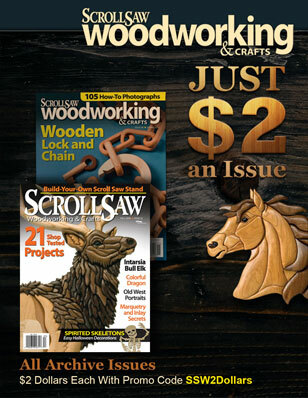 Scroll Saw Woodworking & Crafts staff members were there to chat with readers, hand out magazines, and show off a few of the projects from the Holiday issue. 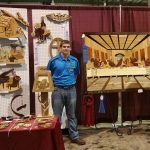 Among the scrollers exhibiting was newcomer Weston Hirschfeld of WASP Woodworking (pictured at right). 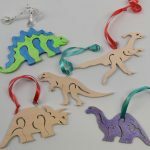 Fox Chapel Publishing’s reprint of Judy and Dave Peterson’s Dinosaur Puzzles for the Scroll Saw is more than just a book with a few new patterns. It’s a complete new take on the patterns with new ideas that are sure to get your creativity going into high gear. 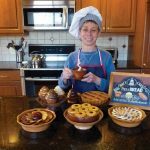 In the first of a series of a articles interviewing our Open House instructors, we meet Carole Rothman. 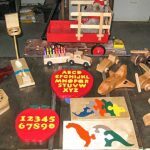 Carole uses her scroll saw – and her experience as a cake decorator – to make amazing bowls and boxes, and then channels her inner college professor to share them in articles and books. 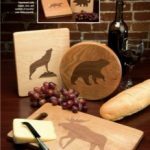 Cutting boards make the perfect gift for a host or hostess. You can create various shapes and you can personalize the board with inlayed designs and monograms. 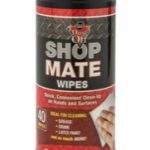 Dust Off’s Shop Mate Wipes are just what you need to clean up your shop after the Christmas bustle. Each Holiday Season, we find clubs giving generously within their communities. These scrollers work all year making toys to donate to charitable organizations who ensure that families in need have gifts. We’ve collected the heartwarming stories on our website and hope you will help us add more to the list. Learn the differences between image quality standards for print and for web and why it’s important to always save your photos at the highest resolution. 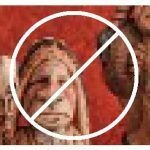 Jon Deck discusses DPI (dots per inch) standards and walks you through the process of saving your images at the optimal size.